Whether you’re Marie Kondo-ing your apartment before Chinese New Year or just looking for a colourful new change in décor to lift the spirits, these new home collections should provide plenty of inspiration for some spring transformation. 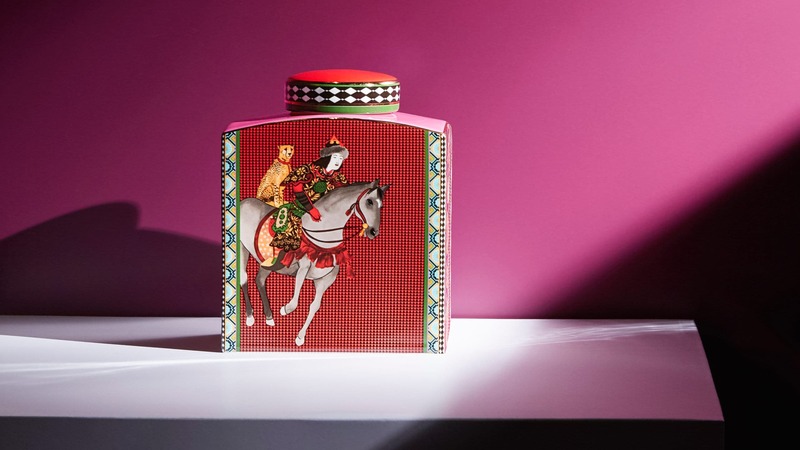 Inspired by Mongolian nomads who traversed the Silk Road, Shanghai Tang’s latest range is a fun and whimsical play on eastern and western motifs in time for the Lunar New Year celebrations. 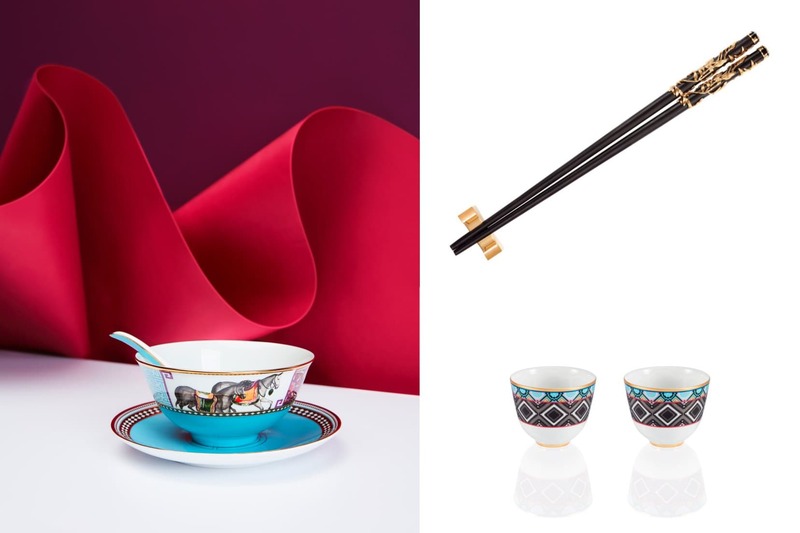 Bone china tableware essentials (from HK$880) run the gamut of mugs and espresso cups with matching saucers to Chinese tea cup sets that are perfect to break out for the season, in striking turquoise, red and pink tones. 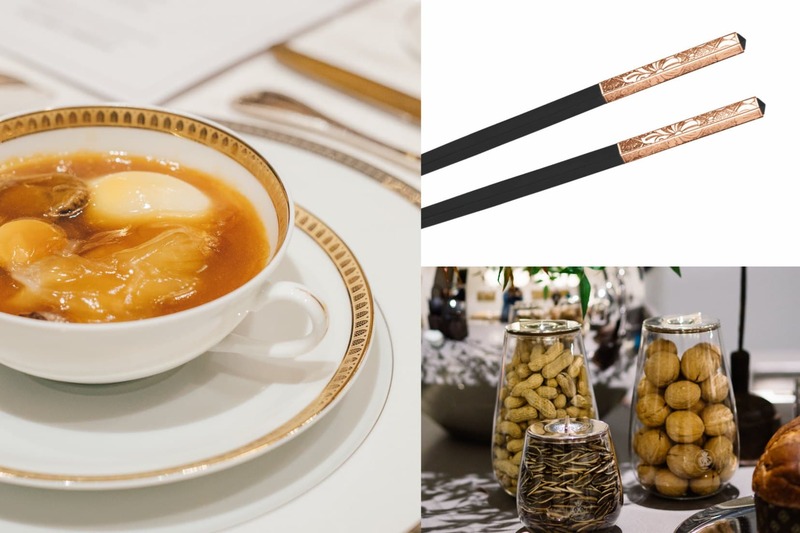 The new Virtue bamboo chopsticks (HK$480) also add a chic accent to your Chinese pudding feast. 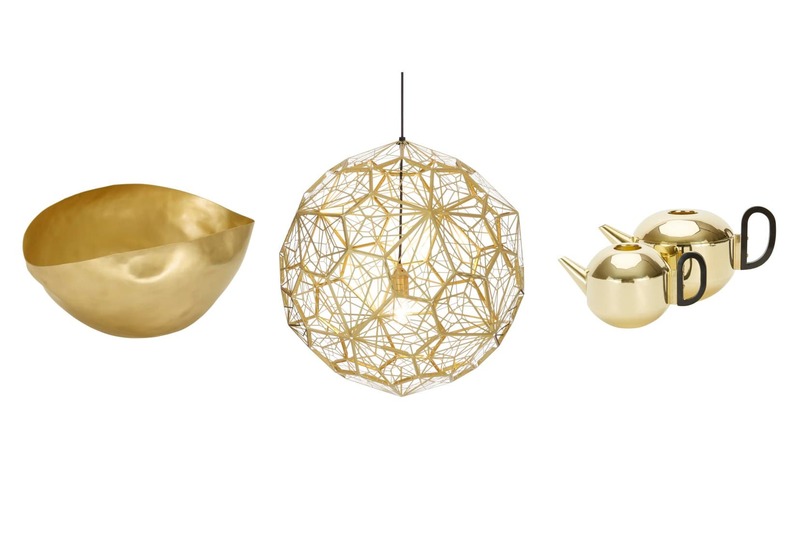 All that glitters may not be gold this CNY, but Tom Dixon’s brass homeware collection will still offer some subtle bling to brighten up your home. Choosing one spotlight item is all it takes: the Etch Web pendant lamp (HK$15,300), for instance, will bring some instant glamour to your sitting room. Instead of any old fruit bowl, the Bash vessel (HK$4,500) upgrades your Chinese new year exotic fruits with a Midas touch. Looking for something fancy when you entertain? The Form teapot (HK$2,000) can bring some modern glitziness to tea time when your guests come over to bai neen. While the world obsesses over Marie Kondo’s decluttering methods, TREE also offers stylish and practical solutions for those looking to store their items in a more organised manner. The solid teak Decker bed (from HK$16,450) for instance offers ample storage underneath for clothing and bed linens and other items. The beautiful Kotak dining table (from HK$19,950) also provides space for your wines and glassware. The Hemingway desk (from HK$10,950) contains plenty of nooks to keep notes, pens and knick knacks organised and out of plain sight. Got a lot of miscellaneous objects lying around? Smooth bamboo woven baskets will keep them tidy, while adding a touch of Eastern boho chic to the room. Looking to host an extravagant tuen nin pre-CNY gathering dinner with all your loved ones? Christofle’s glimmering flatware and tableware add an embellished touch to any family and friends gathering. Particularly eye-catching are the Malmaison porcelain bowls and dishes, dressed in a timeless gold-trimmed motif. The weighty pink gold finish Jardin d’Eden chopsticks will make each bite of turnip cake a sophisticated affair, while the modern, elegant Silver Time snack jars (from HK$3,380) beg to be filled with traditional New Year snacks such as siu hau jo (sesame cookie balls); gok jai (fried peanut puffs); tong leen zi (sugared lotus seeds) and more. 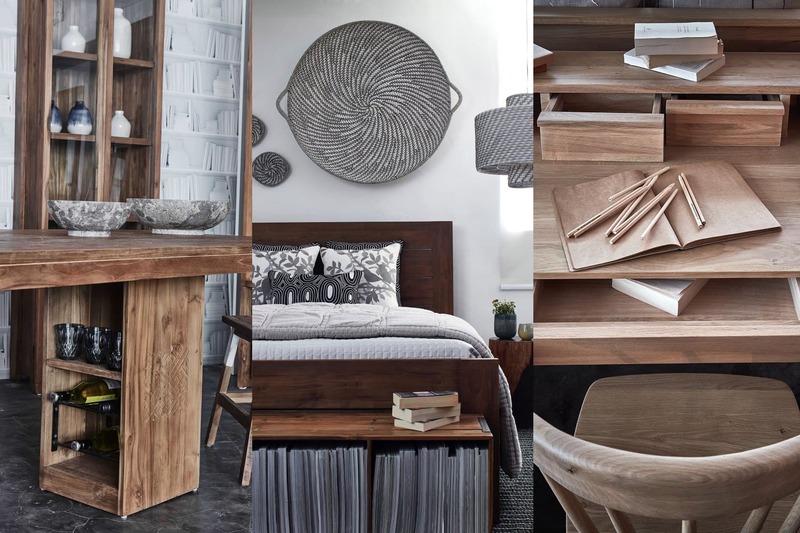 Earthy colours are auspicious for the Year of the Pig, coinciding perfectly with Bo Concept’s 2019 trend of using browns and raw, rustic materials. The Reno Armchair (HK$14,480) adds a zap of energy with its new mustard brown upholstery and slim, clean lines, while the timeless minimalism of the Danish aesthetic is just the thing to upgrade a staid living room. 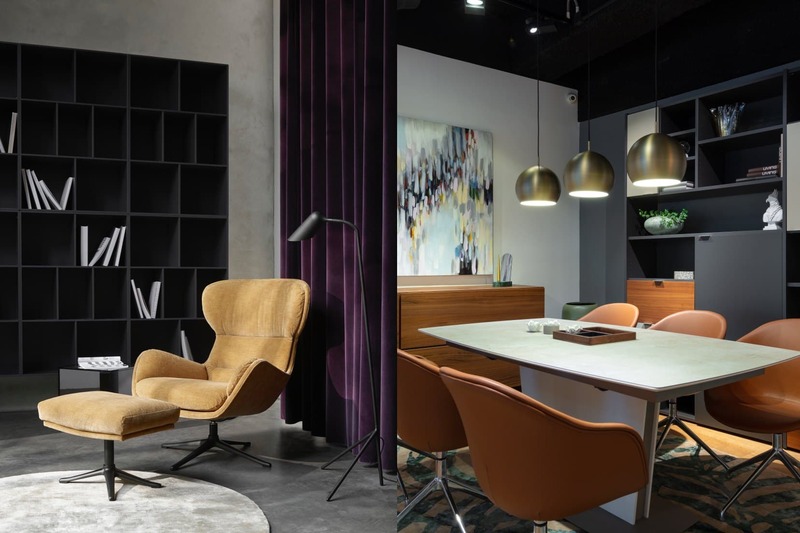 One of the burgeoning dining room trends for 2019 is incorporating a ceramic table top, such as BoConcept’s Milano Dining Table (HK$26,990): scratch proof and heat resistant as well as stylish and versatile.